The option of homeschooling online may really suit some families and perhaps it is something you are looking at right now. There are a number of online homeschooling options including free online homeschooling which I discuss on this page: Online Home School Options. There are varied reasons why families choose to use online home school resources and each family needs to choose whether or not to homeschool online depending on their specific needs and requirements. schools, websites and companies which you do not want to deal with. before you enter into agreements with any of them. This page will outline some reasons for homeschooling online and will also list questions to consider if you are choosing to home school online. Time: Sometimes larger families may need to outsource and gain the benefits of having one course or a whole year plan taught online in order to gain more time with younger siblings. Requiring extra support: As subjects become more challenging many parents can feel out of their depth and consider employing a tutor in a specific area. Homeschooling online can be tutored education in one course or throughout highschool. Encouraging Independence: Homeschooling online requires a student to work independently even if they have interaction with a teacher or an online group setting. This can develop his/her independent learning skills as well as time management as subjects require assignments due at particular times throughout the term/semester. It means their is a sense of accountability outside the home. Accreditation: This may be an important factor for some parents. It may be an important pathway for future studies. Discussion and Interaction: The benefit of some online homeschooling courses is that the studen can be engaged in online web based discussions and interact on a larger scale with other students and a teacher. External assessments: Some online schooling resources and courses will require assignments and exams which will be marked and graded independently. 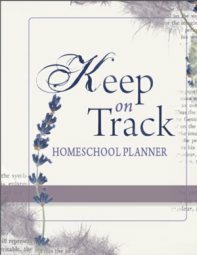 This can be a relief to a homeschool parent who may not be sure how to assess or mark their child's work. Plannning: set by the external course. Due to the popularity of internet educational options, this whole area continues to develop and grow. The above reasons that some parents choose to home school online, may be exactly the same reasons why other families choose not to enter the online home school market. Children can learn to be independent learners through books; other social groups can be created for discussions; subjects which may look daunting at first, can be managed by both parent and student or with a private tutor. In the end, the choice remains with each unique homeschooling family according to their needs and situation. Always keep in mind why you began to HOME- school. As I have only used a few homeschooling online options, I do not feel that I can recommend any courses in particular and I do not endorse any of the programs based on my lack of experience in this area. Please, ensure you investigate the options very carefully before you enter into agreements with any of them. 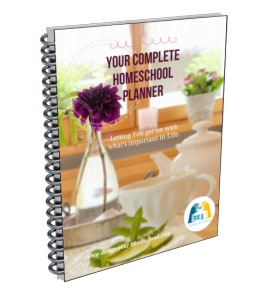 However, some online home school programs and courses use the same materials which I use in my homeschool and which many homeschoolers are very familiar. I do not disagree with homeschooling online, it has just not been a big part of our homeschooling experience up to this date. One of the online home school course we have really enjoyed using is the Supercharged Science website which has online science experiments. We love this site! However, I am certainly not an expert on all the online homeschooling options, but I have listed online home school courses according to my knowledge and research. Feel free to send me a note and tell me about a homeschooing online program which you feel is worth mentioning or not worth mentioning. There are both Christian and secular online schooling options. Questions to consider before choosing a homeschooling online course or web based option. Full program or individual courses - what suits you better - to have a complete online homeschooling option covering all subject areas or just choosing specific courses? Virtual Classroom -Teacher led course- Is the course led and instructed by a teacher? Can you speak to the teacher and other students with live chat? Is it real time interaction or are they delayed video lessons? Online Curriculum - are the assignments and tests sent to a teacher for assessment, marking and feedback? What textbooks, materials are used? Assessments and Record Keeping- does the student send in their assignments? Are they marked and assessed as part of the program? Is the course accredited - is that important to you? For more options and to see various homeschool online options - see these categories below which sends you to my online-homeschool page.